A Colonial Revival manor house built by Mr and Mrs Lammot du Pont Copeland in 1935. 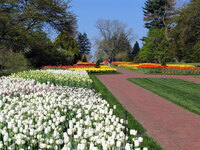 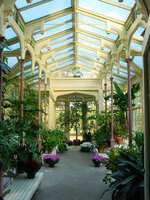 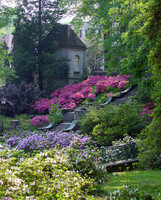 The garden and terraces were originally designed by Thomas W Sears. 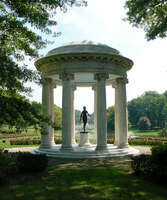 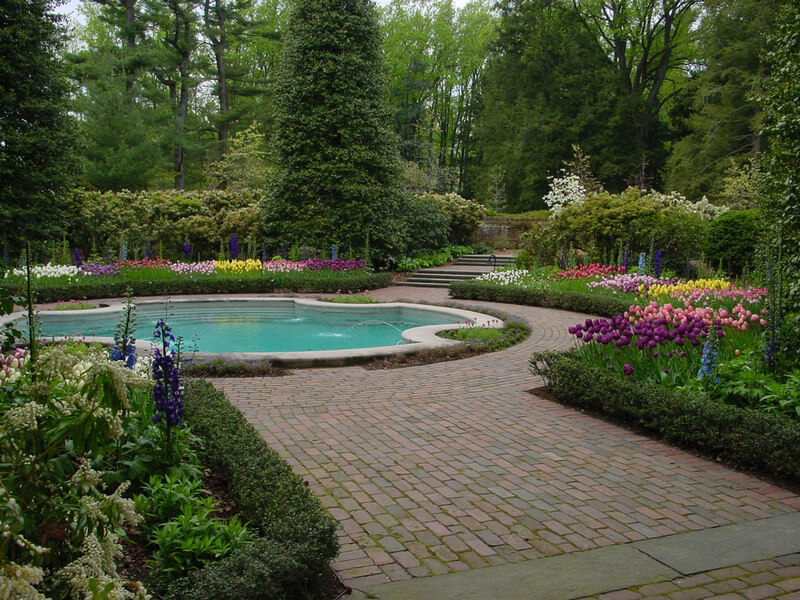 In 1950s, the Copelands hired Marian C. Coffin to design the Round Garden. 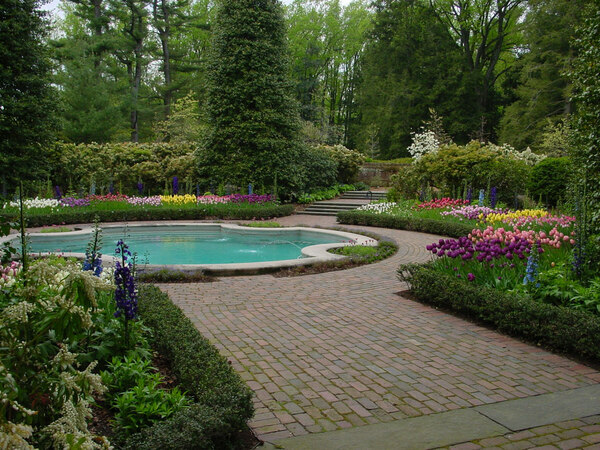 There is a swimming pool in the shape of a Maltese cross at the centre of the Round Garden (visible if you zoom in on the map below). 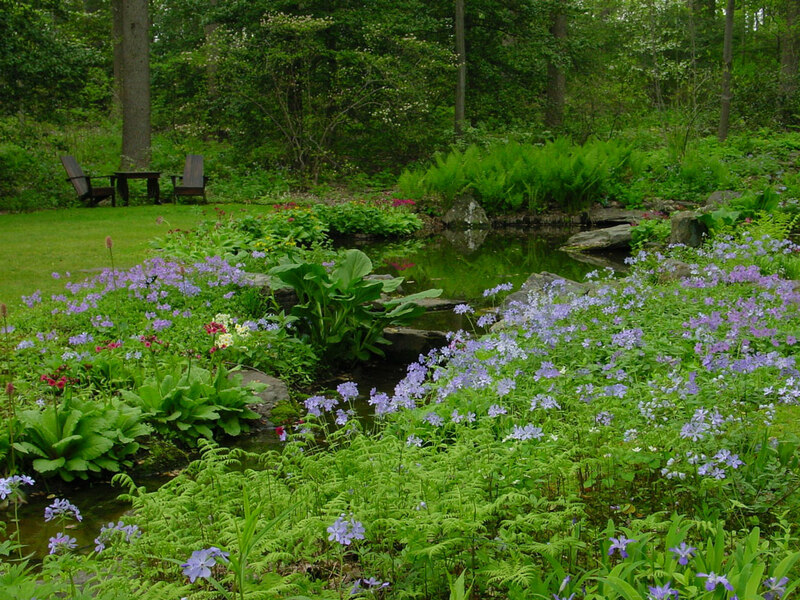 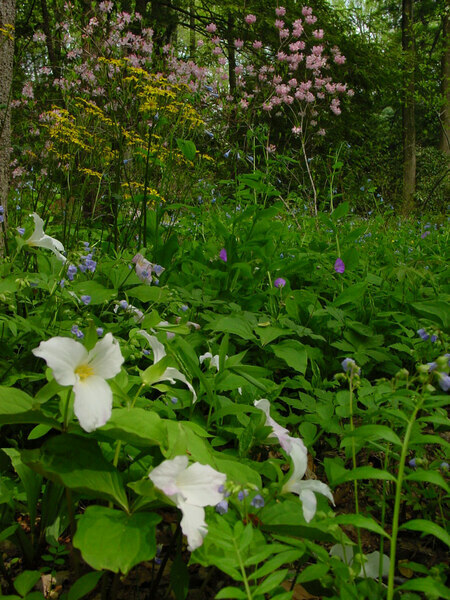 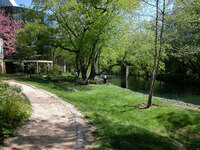 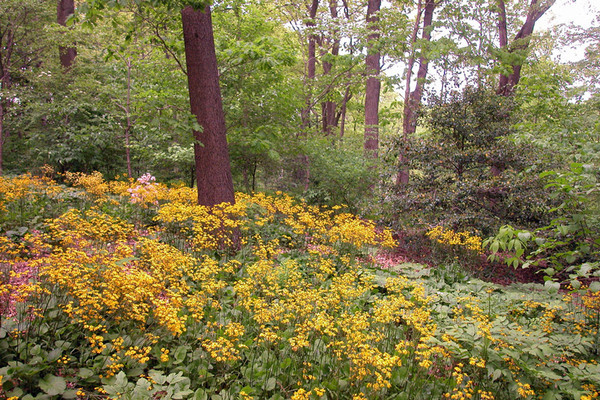 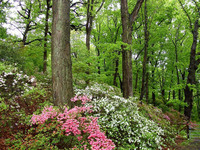 Seth Kelsey designed the woodland wildflower gardens in the 1960s. 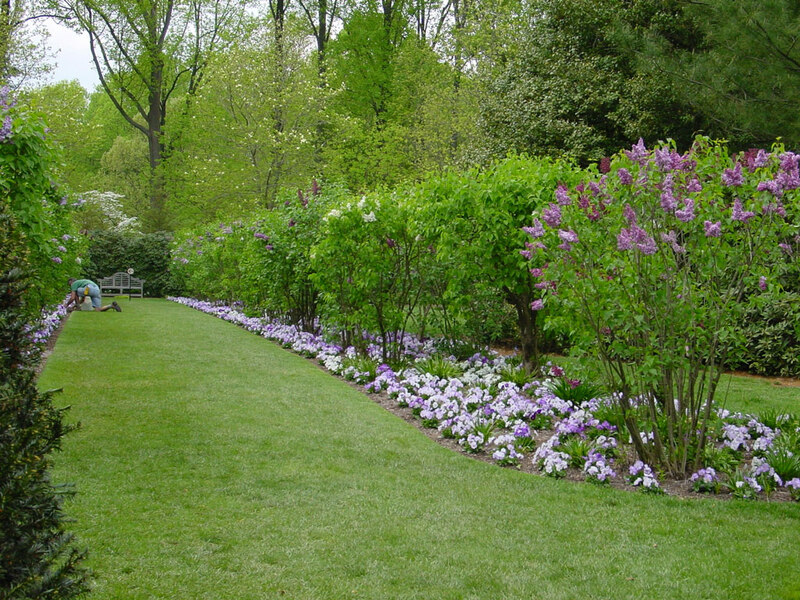 Opening times By advance reservation on one of the regular garden tours.